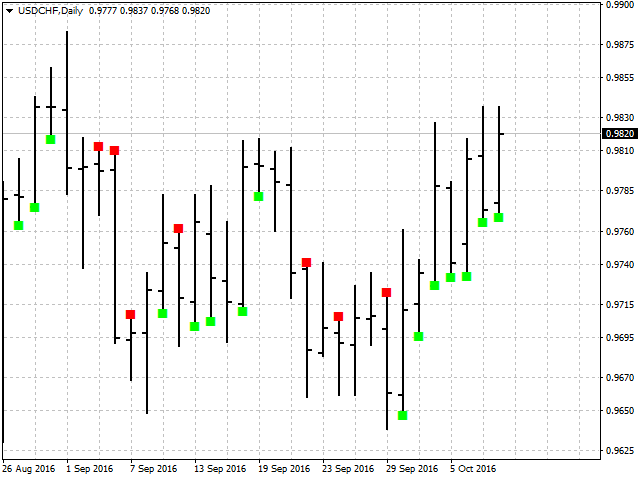 The indicator displays signals confirming the development of a bullish and bearish trend using the TTF oscillator algorithm. 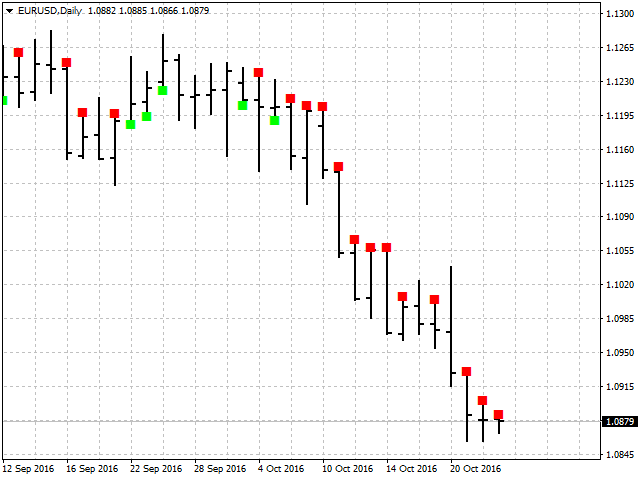 Trend Trigger Factor determines a price movement direction comparing its high and low with high and low of a price for a longer period. After a candle is formed, the signals do not repaint. 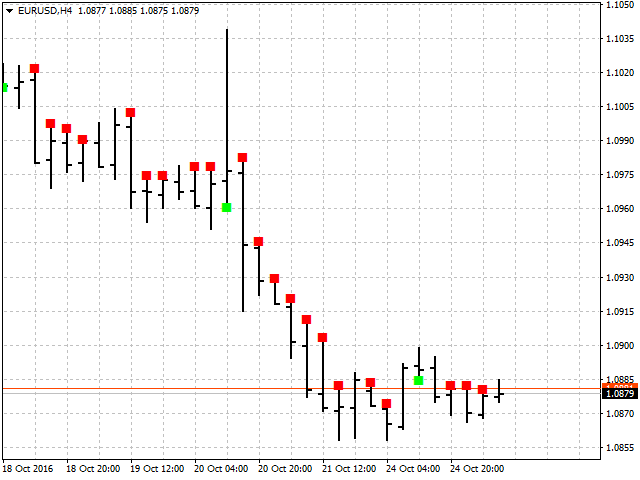 The indicator is very simple and can be easily used by both novices and professional traders. 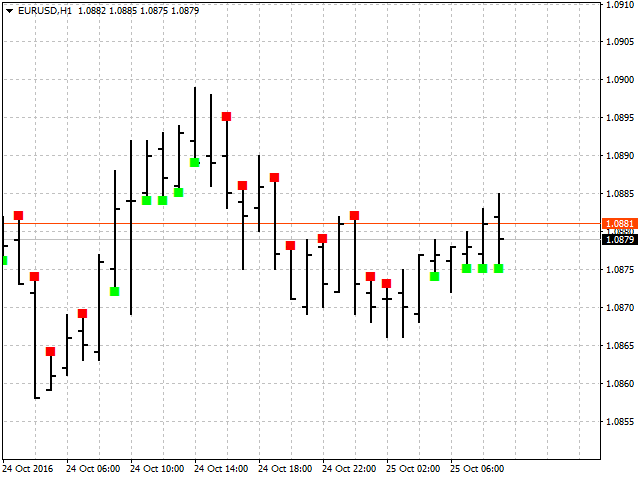 The indicator is highly efficient on major currency pairs on H1 and higher timeframes. When the first buy signal appears on a fully formed candle, set a pending buy order a few points higher than a candle. When the first sell signal appears on a fully formed candle, set a pending sell order a few points lower than a candle. 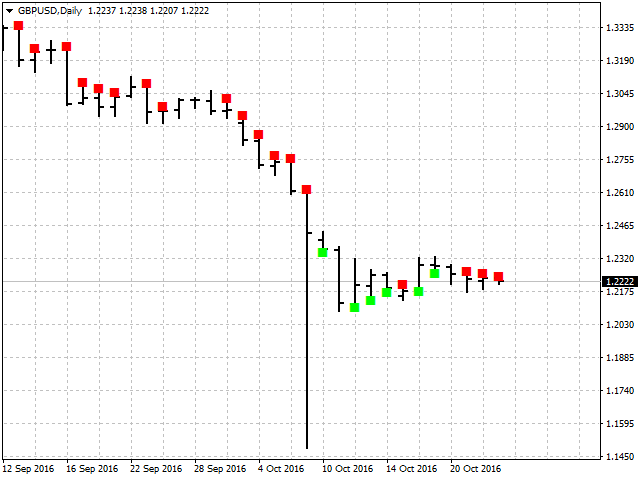 When a sell signal appears on a fully formed candle, set a stop order for an open buy position a couple of points below the candle. When a buy signal appears on a fully formed candle, set a stop order for an open buy position a couple of points above the candle. When there is a sell signal on the previous candle, set a buy stop order a couple of points above the last formed candle. When there is a buy signal on the previous candle, consider setting a sell stop order a couple of points below the last formed candle. 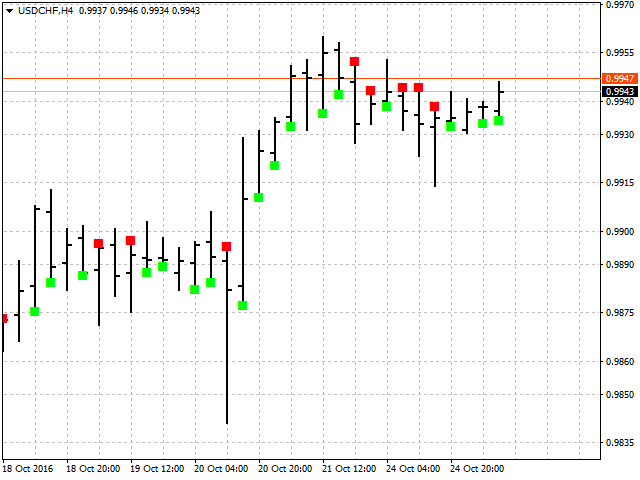 When there is an open sell position, consider setting a stop order a couple of points above the last formed candle. 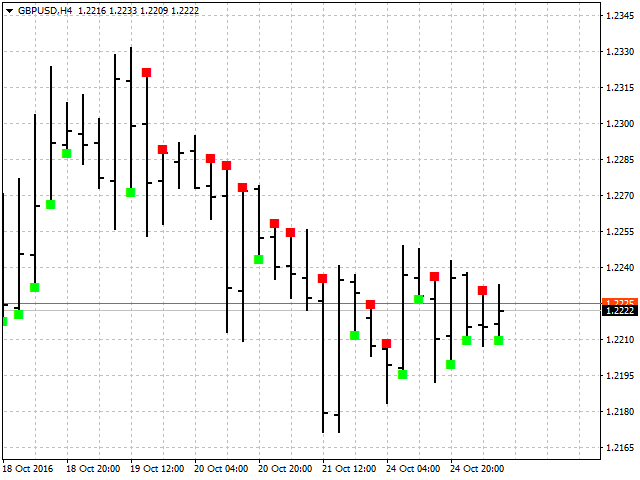 When there is an open buy position, consider setting a stop order a couple of points below the last formed candle. 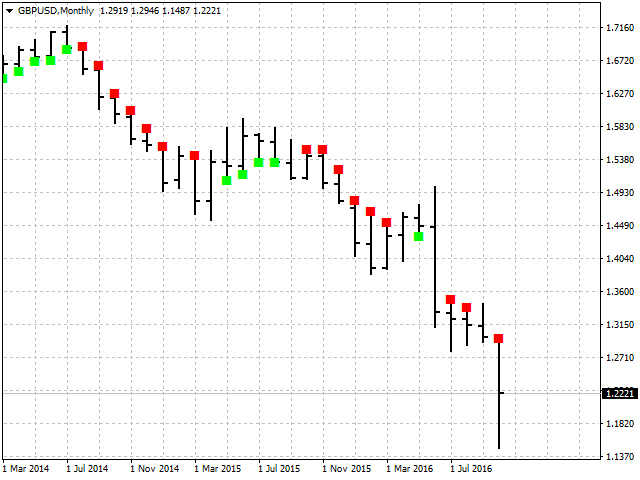 indBarsCount - number of bars used for calculation and plotting the indicator.